All the horrors of Hell stand between Snorri Ver Snagason and the rescue of his family, if indeed the dead can be rescued.For Jalan Kendeth getting out alive and with Loki's Key is all that matters. 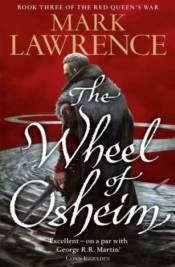 The key can open any lock and possession of it may enable Jal to to return to the three Ws that have been the core of his debauched life: wine, women, and wagering.But the Wheel of Osheim is turning ever faster and it will crack the world unless it's stopped. When the end of all things looms, and there's nowhere to run, even the worst coward must find new answers.